We were there to try out their happy hour menu which features empenadas, steak sliders, caipirinhas, sangria, and Mahou beer. Here's what we sampled, and how we feel about Cuba Libre. This drink was amazing. It didn't even taste like there was liquor in it (was there?). It was like a sweet dessert drink that goes down like juice. This was a tad sour, kind of like a margarita almost but more sugar. Other drink specials include a 4th caipirinha (the bartender said it isn't good, I think they ran out) for $6 which was a classic soaking in fruit or something, like a sangria I guess. Wine & Sangria are $4. The other great part about happy hour is the food specials. The menu is jam packed with small plates (some super small) for $4-$6 (we talked specifics here). I ordered the steak slider and the chicken empenada. The empenada was the fastest $4 I've ever eaten (It was really good though) as it was smaller than a hot pocket. 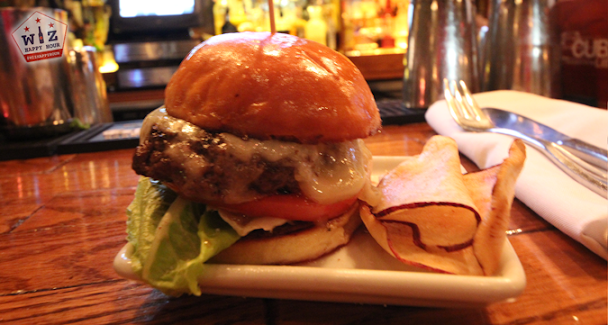 And just when I was expecting a lego-sized slider, a pretty decent sized hamburger was placed in front of me. It comes with cheese and some sauce on it and is pretty darn good (and filling thank goodness). Did I mention the 2 giant chips? Lol. 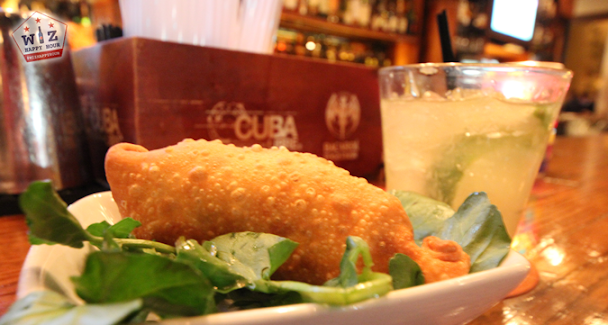 There is one thing you need to know about the Cuba Libre drinks. Much like the small plates, they are not big. The $5 Caipirinha's are really good, but there is a lot of ice, and within a few minutes you are making that slurping noise as the drink is no longer hitting the straw. The $3.50 beer was an 8.4 ounce bottle of Mahou! I laughed when I saw that. The $4 glasses of sangria/wine are normal size. So take your time when you order a drink, enjoy it or else before long you've dropped $20. 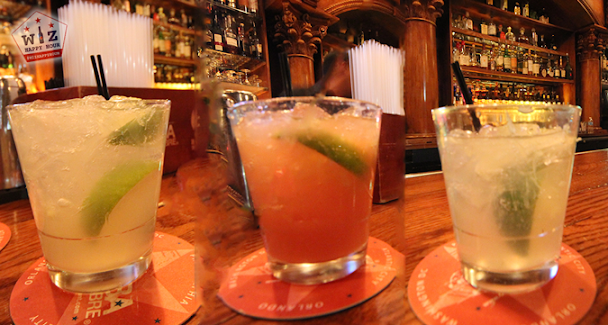 I had 4 drinks ($20) and didn't really feel anything much. 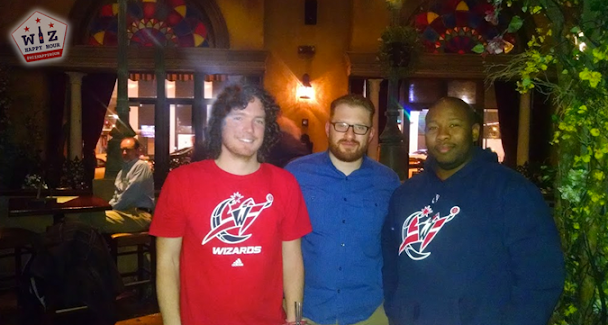 The great part of Wiz Happy Hour is you get to talk Wizards basketball with bartenders, bar managers, and the other Wizards fans in the house. After that the cheap food & drinks are just icing on the cake. Hope you can join us sometime soon!